As seen in the Sony Pictures 2016 film Ghostbusters, here is the ultimate guide to identifying, understanding, and engaging with any paranormal activity that plagues you. 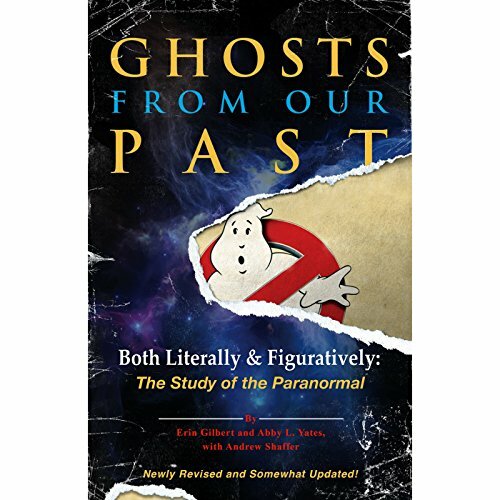 Years before they made headlines with the Ghostbusters, Erin Gilbert and Abby L. Yates published the groundbreaking study of the paranormal Ghosts from Our Past. Once lost to history, this criminally underappreciated book is now back in print, revised and somewhat updated for the new century. Helpful sidebars like "A Ghost by Any Other Name" and "Ectoplasm Cleanup Tips"
With this helpful - and hilarious - official Ghostbusters guide in hand, you'll be prepared for almost any spirit, spook, or specter that comes your way. As for the rest, you know who to call.